Russia's UN ambassador says the country is open to establishing a new panel to investigate the use of toxic gases in Syria. Russia on Wednesday said it was open to establishing a new panel to investigate the use of toxic gases in the Syrian civil war, AFP reported. The announcement came a week after Russia used its veto power at the United Nations Security Council to block a U.S.-drafted resolution to renew an international inquiry into who is to blame for chemical weapons attacks in Syria. The move marked the tenth time that Russia has vetoed UN action on Syria since the civil war in that country began in 2011. Russian Ambassador Vassily Nebenzia told reporters on Wednesday that the "JIM is dead," referring to the Joint Investigative Mechanism (JIM) that shut down on Friday after two years of work to identify the perpetrators of chemical weapons attacks in Syria. "We are ready to talk about establishing, creating a new mechanism that would replace the JIM and do the work in a truly professional, objective and unbiased manner," Nebenzia said following a closed-door Security Council meeting, according to AFP. 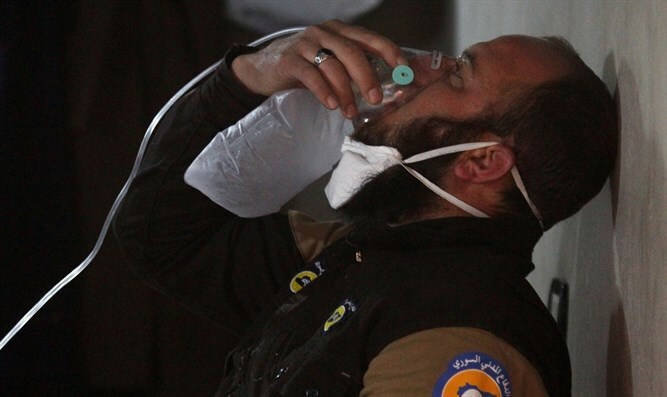 The JIM concluded last month that the Syrian air force dropped sarin on the opposition-held village of Khan Sheikhun, killing scores of people. Russia has rejected the findings, saying the investigation was flawed because the experts did not travel to Khan Sheikhun and relied on witnesses that it says were linked to the opposition of President Bashar Al-Assad. Nebenzia said Wednesday the "JIM has discredited itself completely. It cannot continue in the present form." The Organization for the Prohibition of Chemical Weapons (OPCW) is set to present several other reports from its fact-finding missions in Syria which are looking into the use of chemical weapons. A recent OPCW report has concluded that sarin was used in another incident on March 30 in the village of Latamneh and is currently before the council.